Last post I accidentally deleted. Just want to see how wide you guys think he is and what he would score. I�m thinking he is much smaller than my buddy thinks. Just want a consensus. Is a 3x4 i was thinking 27-28" 155-160 am i off? 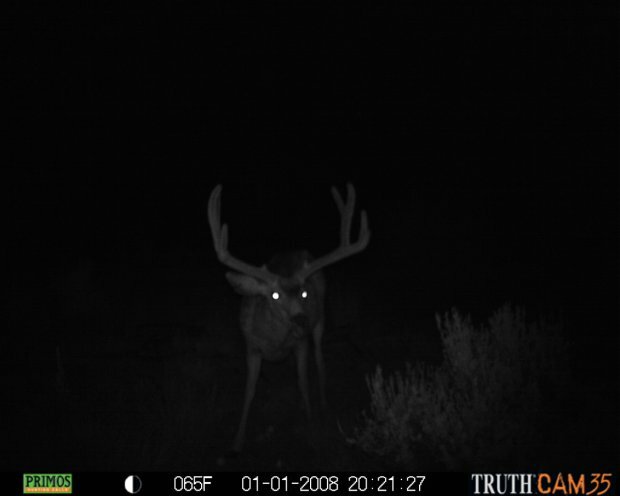 Considering I have not seen much bigger and seems like quality and quantity of bucks is down this year? 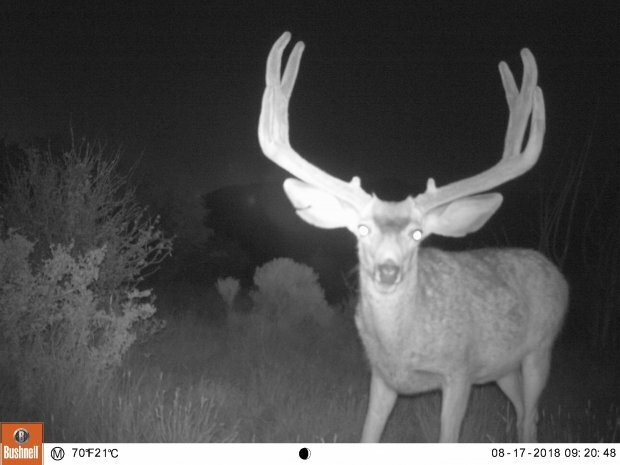 yes its the ssame deer even tho i changed cams and date is wrong.. i switched cams so i could pack my smaller cam into an area instead of my big bulky primos and i forgot to change the date etc. I think your right there on your score. Same here your spot on. I'd guess 27" wide and 145ish"
3rd year dedicated? I'd seriously consider taking him. It Doesn't Look like You've Killed the Last Sage Brush in that area with your Wheeler yet? >It Ain't Easy being Me! 27-28, 165 I'd say. Good looking buck. I think your right on with your score of 155-160 and 27" wide. Can You Send us a Pic of Him Strapped to your Wheeler in a Closed Area SHREDDIN the Sage as You Leave the Kill Site? I think you are close on your score. 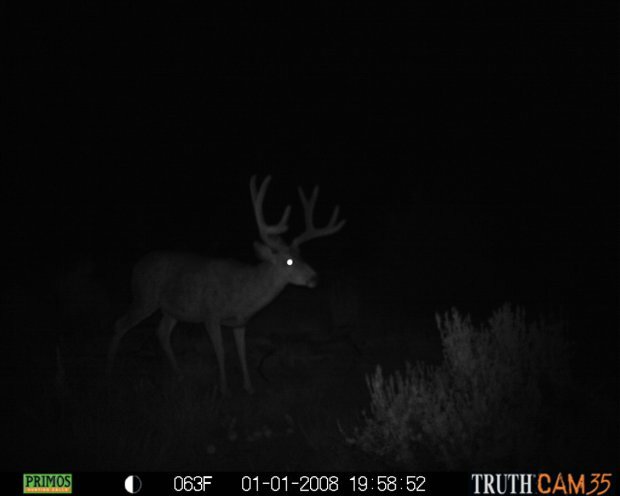 He is a nice buck and would be hard to pass on for general Utah unless you have a bigger buck located. For me it would depend on my mood the day I came across him. 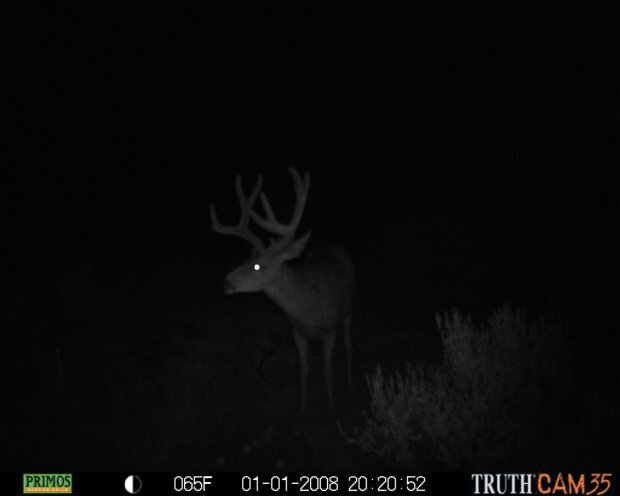 You don�t have to tag a deer just because it is your last year in dedicated hunter. You Mean 3-1/4 years Old?